Bad news. Neuroscience is working against you as an entrepreneur with ambition. Good news, you can overcome it. If you’re a powerhouse women in business, you know that there are times when you have to really dig deep to get your career to the next level. We’ve all come up against obstacles (big and small) that are triggered by our brain trying to get us to avoid risk. It might look like a fear, self-doubt, lack of confidence, or all of the above. 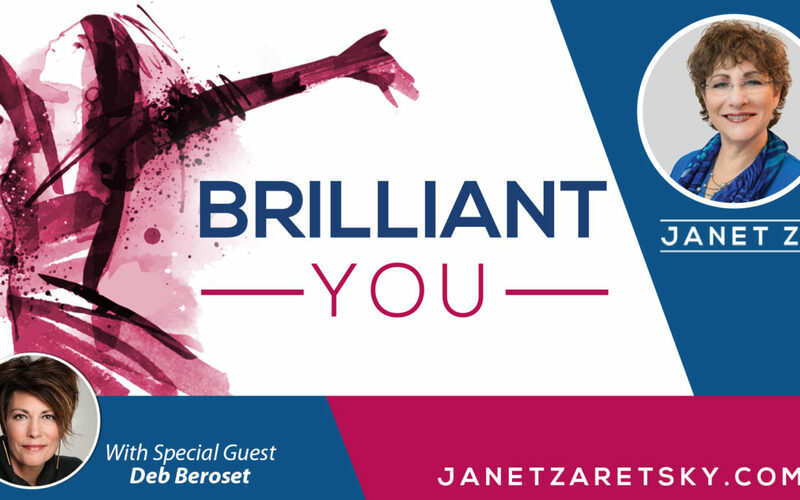 What you need in order to knock these obstacles to the side is a little bit of moxie – and my guest on this episode of the Brilliant You Podcast has it in spades. And, she’s going to help you get some too! Deb Beroset is a consultant and coach helping experts become influencers, media darlings and thought leaders. She has a background in journalism, storytelling, public relations, and is a certified neurotransformational coach. Through her company, Moxie Creative + Consulting, she helps her clients reach the top of their game. One of the things she sees her clients struggle with is putting themselves out there. It’s a big leap and she knows that it can be paralyzing – no matter how much someone might want it. In this episode, she explains why this is such a common problem and what it takes to get past this psychological barrier. Deb’s understanding of how our brains work reveals some surprising truths about the role of your ego, why we fear failure (and sometimes success), and what triggers the imposter syndrome. If you’re a powerhouse woman in business, you’ve likely encountered all of these! Plus, we explore two great tools for tapping into your authenticity. These two different approaches will both help you connect with your own, unique voice and discover the most powerful way for you to contribute. You might be surprised how empowering and fulfilling taking these action can be. And, you can do them both, right after you listen to this episode. If you want to reach the next plateau in your career and strip away the fear of putting yourself out there, then give yourself the gift of this episode. Because, let me tell you, Deb’s moxie is contagious. Just and you’re going to be ready to go from the BS you might be believing right now and step into your brilliance instead.